• Bob Powers, President, Powers & Company, Inc.
Tax credit equity can be a powerful financial engine for attracting critically needed private capital for Historic Rehabilitation and other community development projects. The Historic Tax Credit Seminar will provide an overview of how deals are getting done; what to look for when scouting out the right project to invest in or develop; and a look at the impact of the Tax Reform Bill on the HTC. 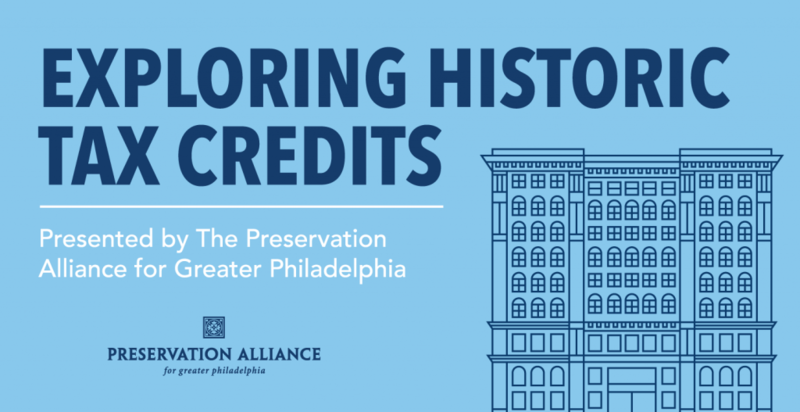 Join us for this presentation featuring industry experts and government officials as they explore opportunities, resources, and solutions for developing and financing projects using the historic tax credit in the Philadelphia region. Don’t miss this opportunity to connect with business and professional colleagues and hear about what’s happening locally in Philadelphia and the region.